"Would highly recommend! My feet have found the best Dr."
"Outstanding office and staff. Dr. Lafiti is very professional, communicates well..."
""Dr. Latifi is the BEST!...I am now wearing shoes for the first time in four years!" At Lenox Hill Podiatry, Dr. Afsaneh Latifi is a leading provider of important podiatry services for patients throughout Lenox Hill and the New York City area. She offers care for warts, toenail fungus with innovative laser therapy, ankle sprains, bunions, hammertoes, heel pain, ingrown toenails, and also provides KeryFlex artificial nail treatment. Dr. Latifi graduated from the New York College of Podiatric Medicine and has over 13 years of experience in the field of podiatry. For the past 22 years Dr. Latifi has been living in the Upper East Side community of Manhattan, where she is dedicated to helping patients dealing with issues both large and small. Dr. Latifi has participated in the NY and Boston Marathons as part of a medical team and has graciously taken the time to work as a Medical Assistant in Haiti and Guyana. She speaks English, German, and Farsi. Prior to opening her new location in the Upper East Side of Manhattan, Dr. Latifi worked with a private podiatry office in the Mid-Town area. She is committed to the belief that a doctor and patient become a team when treating an individual’s feet. The office also provides skincare and laser treatments for women & men of all ethnicities, ages, and skin types. Dr. Latifi customizes all treatments to the patient’s individual skin type and offers a complete range of advanced spa procedures including Laser Hair Removal, Laser Genesis, Laser Vein Therapy, Laser Nail Fungus Removal, and Chemical Peels. 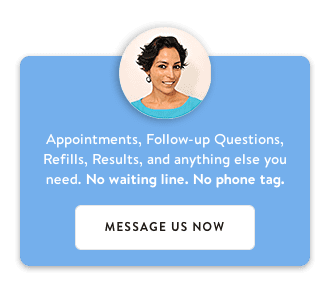 Dr. Latifi and the entire staff of Lenox Hill Podiatry invite you to visit the office or sign up online for a free consultation to discover the right procedure for your unique needs. Most major forms of medical insurance are also accepted. See these amazing facts to learn more about foot health! For any insurance related questions, please contact our office.